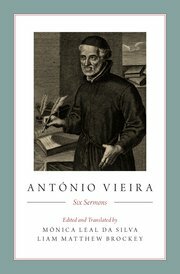 “Missionary, diplomat, theologian, pulpit preacher, social critic, political strategist, and one of the finest writers of the Portuguese language, the Jesuit António Vieira was a remarkable figure of the Baroque age whose life has remained relatively unknown to English-speaking readers. This excellent edition and translation of his sermons finally gives them access to Vieira's talents and thought, and helps to restore him to the prominence he deserves." 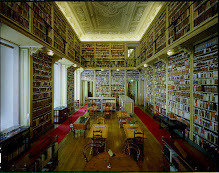 "The reader will find here six of António Vieira's sermons, most available in English for the first time. Brilliantly translated and contextualized, the sermons reflect the ways a leading Jesuit grappled with the bewildering forces of globalization, commerce, slavery, and morality, forces the Jesuits themselves unleashed. How to find providential meaning in a Portuguese global empire built on the backs of both slaves and Jesuit missionaries? How to have providential certainty in a world bedeviled by greed, growing religious apathy, and geopolitical uncertainty? How to be a prophet in a new, yet weakened Braganza-led Israel? Out of hundreds of possible sermons, the authors have masterfully picked a handful to illuminate a complex, deeply contradictory world of faith and violence." "António Vieira is a major religious, cultural, and political figure in the early modern world, little known outside the field of Iberian history. This outstanding translation of selected sermons will contribute to integrate his thought in the long-term complex analysis of colonialism, slavery, racism, and national assertion." Esta obra vem revelar o passado musical do Convento de Tomar, casa principal daquela que foi considerada a mais poderosa e emblemática ordem religiosa portuguesa: a Ordem de Cristo. 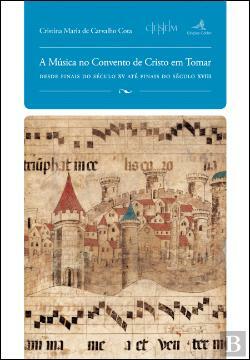 Retomando a única e sumária investigação realizada há cem anos por Sousa Viterbo sobre os músicos deste convento, concluiu-se que este foi um dos mais importantes centros de actividade musical em Portugal, equiparável a Coimbra, com uma Capela reconhecida pela excelência do seu nível musical em finais do século XVI, e uma prática instrumental e vocal majestosa durante o século XVII, de produção musical própria assinada por Frei Fernando de Almeida (1604-1660), o mais destacado compositor da Ordem e exemplo marcante da música maneirista portuguesa. Neste livro se oferece a mais completa biografia deste compositor, que infelizmente teve um fim trágico e injusto às mãos da Inquisição. A prática litúrgico-musical na Ordem do Templo foi assunto inesperado e original de estudo que se tornou um ponto de partida para a compreensão do cerimonial e prática litúrgico-musical da Ordem de Cristo, considerada a sua sucessora em Portugal.